As one of the world’s foremost leadership and performance advisors, James Arthur Ray knows what it takes to get ahead in life and find one’s personal calling. 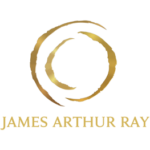 James Arthur Ray teaches ways to overcome the obstacles life throws your way and become a true leader who can thrive in both life and business. For life and business are synergistic and for true success must work hand in hand. 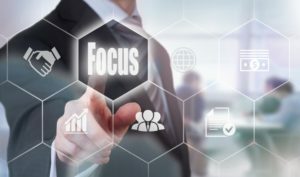 One of the most important aspects of the of James Arthur Ray’s teachings is the idea of focus versus distraction. According to James Arthur Ray, true leaders set specific and measurable goals and intentions. Although this seems obvious, you’d be surprised how many people fail to do so. Current research shows that the average individual picks up his phone 5 times per hour; and spends approximately 2.25 hours per day in distraction. But beyond just setting goals, true leaders are able to stay focused on what they must do to achieve those goals. Leaders are able to obtain their goals regardless of what life throws at them because of their ability to focus and avoid distraction. James Arthur Ray understands that we live in a world full of distractions. One thing after the next tries to derail us from our goals and many people can’t keep their minds on one thing for more than a minute. James states that multitasking is so 90’s. Current research proves that leaders and ultimate performers, in all areas and industries, work from focused flow. It’s no wonder most people don’t ever come close to becoming a leader or achieving ultimate performance. But true leaders stay on track and move from one step to the next toward their final destination. James Arthur Ray further explains that the ability to focus stems from an individual’s willpower, which like any other muscle can be exercised and strengthened. To develop one’s willpower, individuals must make a commitment to removing distraction from their work environment. This could mean turning off phones, closing doors, or creating regular office hours to adhere to. James Arthur Ray recommends breaking up the work day into 90-minutes spurts with breaks in between because research shows that we can only maintain full focus for about 90 minutes at a time. Getting back to work after a break can be difficult for some, but over time willpower begins to strengthen and focus increases.